For rather long time we haven't got any fresh Assassin's Creed 4 news, and finally the developers have not only opened the veil of mystery, but also shown their faces to us. In new Assassin's Creed 4 trailer for Sony two representatives of developer team told a lot about the new game and its new features. The video tells us about the development of the next installment for PS4. The developers are excited with the possibilities of the next-gen console and are going to use them all and to create fantastic action-adventure with brilliant graphics and awesome gameplay. 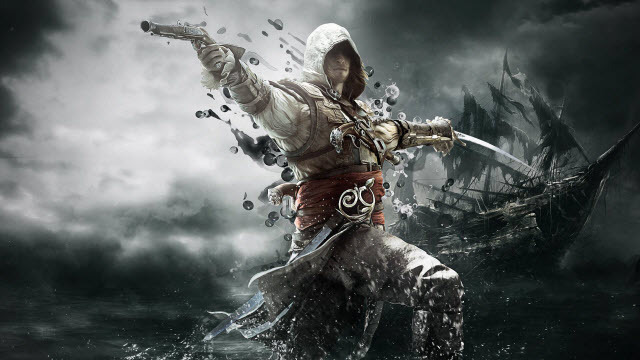 The other important thing that will be present in Assassin's Creed 4 game, is a social feature that will allow connecting the single-player and multiplayer. And of course we will get a lot of naval missions, but together with ground ones, because it will be very easy to board in the game. Several other interesting Assassin's Creed 4 news have recently appeared in the interview with the developers for oxm.co.uk. Now we know that in new game the combat system will be changed, and one of the most interesting innovations touches the four pistols that Enward Kenway will be able to use at once. Moreover, the developers are saying that our hero is not actually a "good hero" - he is a pirate and criminal.